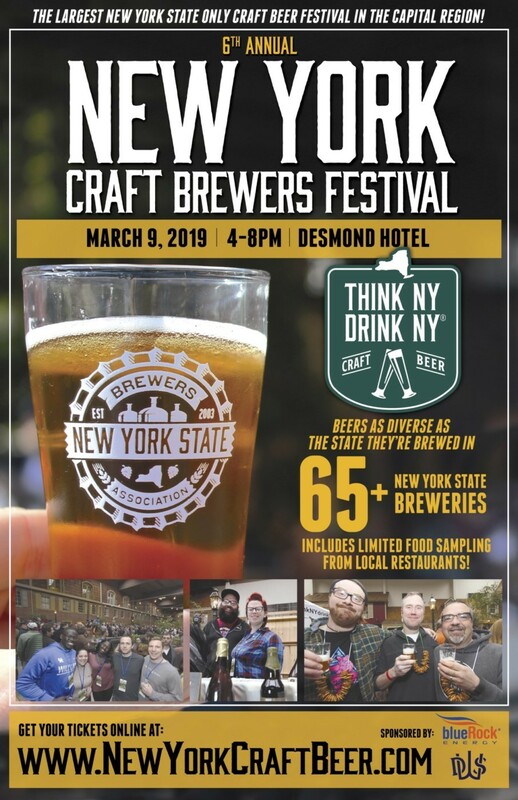 The New York State Brewers Association is proud to announce the sixth annual New York Craft Brewers Festival taking place on Saturday March 9, 2019 at the Desmond Hotel in Albany, New York. The New York Craft Brewers Festival brings together Over 70 New York Breweries (and brewers) from every region of the state featuring up to 150+ hard to find and award winning beers. 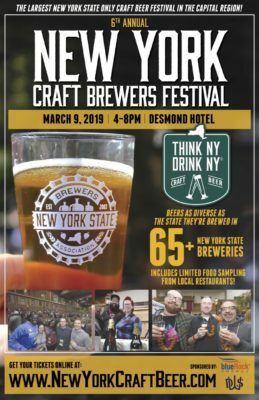 This is a great opportunity to meet the NYS brewers that make the beer, and the owners of the local food scene in the Capital District that are such an important part of the community. VIP tickets allow access to the festival one hour earlier and access to enjoy specially selected beer not available to the general public throughout the event. This is a 21+ event. All attendees must show valid photo ID at the door. All attendees, including designated drivers, must be 21 or over to attend this event. No exceptions!